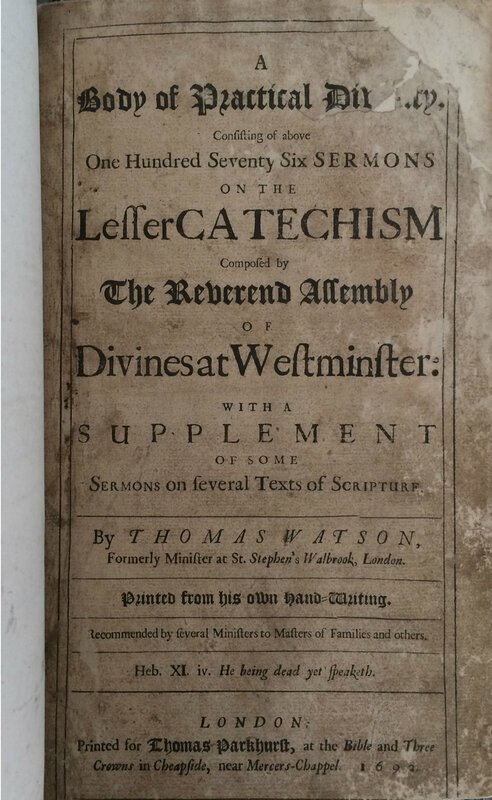 Rare 1692 First Edition of "A Body of Practical Divinity, Consisting of above One Hundred Seventy Six Sermons on the Lesser Catechism Composed by the Reverend Assembly of Divines at Westminster" is available in our inventory. Even Ants Love to Read Books! Books may have become less fashionable for people, but our little neighbors underground know what's important! You rarely see them go anywhere without book in jaw. I just ran across this article by Tim Keller, http://www.ccef.org/puritan-resources-biblical-counseling and realized that it embodies one of the reasons why we want to further promote our bookshop: www.purjoy.com The article is kinda long, but I hope you are blessed by it, (and better understand the raison d'être for the PurJoy Bookshop). Just finished reading "Pierre Viret: The Angel of the Reformation" by R.A. Sheats.